Within the state of New Mexico, more than 400,000 people rely on their local newspaper to bring them the news of their communities. You can’t simply close out an ad in a newspaper. In fact, many readers depend upon their local newspapers to tell them about specials a business is having. In New Mexico, there are many opportunities for effective advertising. In fact, there are many deals that make print advertising effective. And the New Mexico Press Service and its member newspapers also can help you design a campaign that features both print and digital ads. Albuquerque Journal – The state’s largest newspaper has a busy spring and summer. 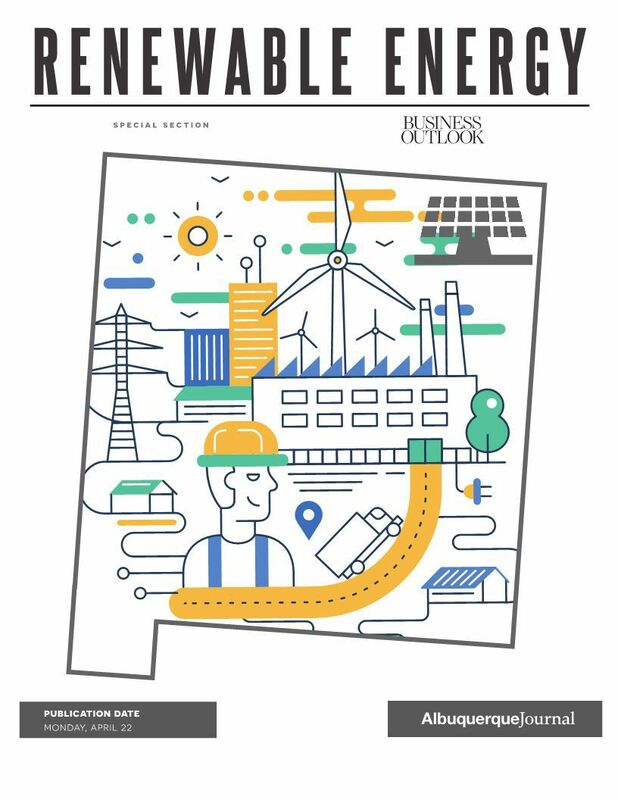 The paper’s Business Outlook is publishing a special section on April 22 focusing on Renewables. Like all special sections, advertising packages include both print and digital. Prices start at $650. The Journal will once again celebrate the Top Workplaces in New Mexico on May 13 with the publication of a special section, as well as an event at the Hotel Albuquerque to recognize the winners. Sponsorships and ad space is available if you make your reservation by May 7. Prices start at $1,106. As the weather gets warmer, thoughts, of course, turn to summer finishing school and summer. The Journal has opportunities for its Graduation special sections on May 19 and the Summer Guide publishing on May 26. Ad prices start at $650. Taos News – Ski season may be over but Taos is still a great place to be in the spring and summer. The Taos News is selling into two great sections in May. The Summer Music Issue of Tempo will be published May 2. This is the guide for anyone who loves music, loves the mountains and loves to combine them. Prices start at $155. The newspaper also is shifting its attention to health and wellness with its WellTaos special section. Publication will be May 16 with a reservation deadline of April 19. Rio Grande Sun – Anyone who has been to northern New Mexico knows they will want to go back. The Rio Grande Sun’s Ultimate Guide is the go-to guide for visitors to the area, whether it’s their first time or second or third… You get the idea. This guide is a perfect opportunity for advertisers to be seen throughout the summer. The guide publishes April 25, space reservation is April 17. Los Alamos Monitor – You may not think that the Atomic City is a great place to live and visit, but you’d be wrong. Sure, the Los Alamos National Laboratory is an important part of the community, but there is so much to do on the “Hill” that you won’t want to miss the Los Alamos Monitor’s special sections. The Youth Summer Activities Guide is publishing on May 5 with ad costs starting at a low $155. Reservation deadline is April 19. The Monitor also will soon be publishing its annual Discover Visitor’s Guide. 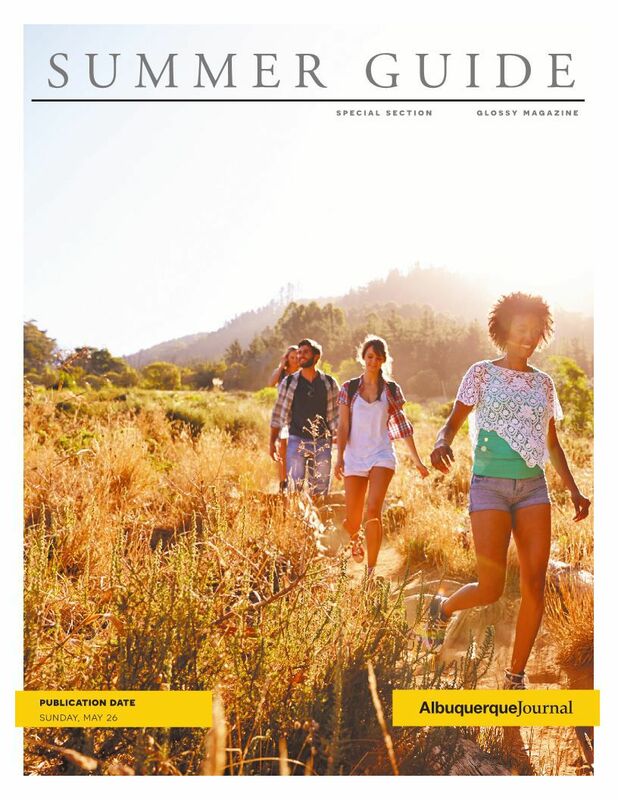 This extensive glossy magazine will show you the places to visit in and around Los Alamos. Rates start at $535. The guide will be published May 22 with a space deadline of April 22. Las Vegas Optic – This Las Vegas doesn’t feature glam and glitz, but it’s still a wonderful place to live and visit. The Las Vegas Optic celebrates its unique community and recreation with its annual Destination Las Vegas Visitor’s Guide. The guide will be published in May with ad prices starting at $425. Santa Fe New Mexican – In English, “bienvenidos” means welcome. Santa Fe has been welcoming visitors for more than 400 years, so it is only fitting that the New Mexican’s premiere visitor’s guide is named Bienvenidos. This award-winning guide’s summer version will be published May 19 with a reservation deadline of April 26. Don’t miss out on getting thousands of eyeballs looking at your ad. Edgewood Independent – Each June, Edgewood becomes home to the spirit of the Old West as the Single Action Shooting Society holds its annual End of Trail event. To help celebrate, the Independent publishes four weeks of Cowboy Days specials, some offering half off the usual price. This is a great way to attract new customers, some who have never been to New Mexico. Hobbs News-Sun – The staff of the Hobbs News-Sun knows southeastern New Mexico. Coming up in May and June, Lea County’s largest newspaper will be publishing its annual graduation section on May 19, the Circle of Hope section on June 12 and a special on Oil and Gas on June 23. Copy and art for these sections are due two weeks prior to publication. Remember! New Mexico Press Service can help you place an ad in any newspaper in New Mexico! Call us today at 505-275-1377 or email at ads@nmpress.org.